Staples' Joe Greenwald, 21, shields the ball against Westhill Wednesday. Westhill defeated the Wreckers, 3-0. 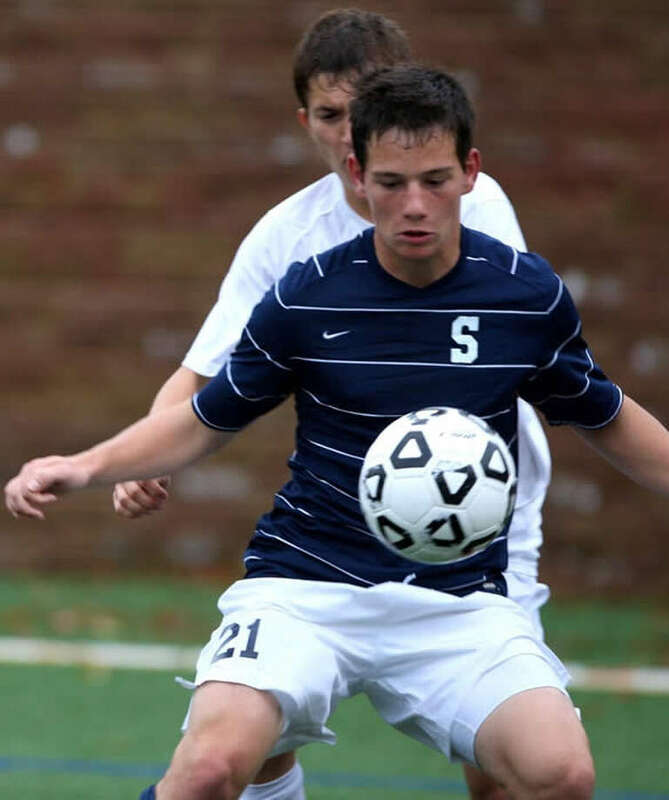 The Staples boys soccer team ran into a buzzsaw Wednesday at Westhill. Staples dropped to 8-2-3 with a 3-0 loss to the Vikings. Westhill raised its record to a deceiving 7-5-2 and is 7-0-2 in its last nine games. Three of Westhill's losses were by forfeit. "They got the quick goal and it has happened to us before," Wreckers coach Dan Woog said. "They are fighting for the FCIAC playoffs and we weren't fighting." Staples increased its intensity after the break with some sustained pressure and scoring chances that they were unable to finish. The Wreckers have gone 1-2-1 in the last four contests, though Wednesday was one of their rare subpar efforts. "It was very uncharacteristic," Woog said. "I told the players to own this. Don't point fingers. We haven't played poorly. We did today. We certainly haven't lost by this margin."